BFA Menswear Design student, Kenneth Ning (left), debuting his collection at New York Fashion Week, 2007. Images courtesy of Randy Brooke/ WireImage. Growing up, I always had an interest in streetwear. Throughout high school, I went through many phases and styles. The culture of fashion that influenced me the most was hip hop. I would save up my money to go out and buy the Adidas track suits and the shell-toed shoes. Sneakers and denim were a big part of my life back then, and still very relevant for me now as we’ve seen a resurgence of the streetwear scene in many high end labels. 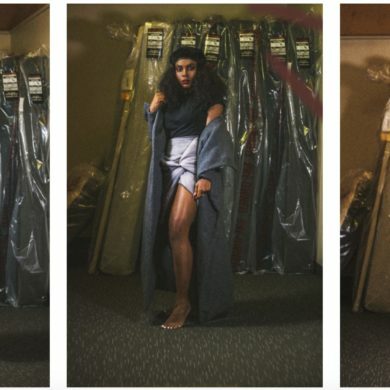 The School of Fashion allowed me to see the endless possibilities in this industry, especially being able to watch and learn from such highly talented peers. Kenneth working on newly launched t-shirt line, Premium NYC. Image courtesy of Timothy Smith Photography. The most important lesson I took from my experiences in school [that has now translated in the workplace] was time management! Being able to go through the San Francisco Graduation Fashion Show and New York Fashion Week with the University made me realize that there is never enough time. Being a part of the corporate workforce means following strict calendars, no exceptions. Always pad your schedule to leave room for error so you can meet the deadlines you need to. 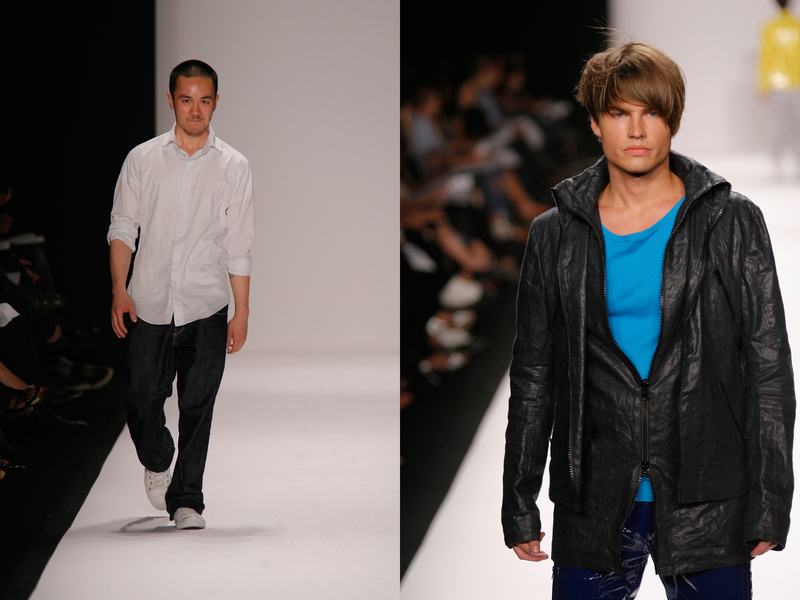 The Menswear CDFP class was my favorite because that’s where all the designs transformed into real garments. After the September 2007 show in New York, I interned in Michael Kors’ men’s design department for a couple of months. I was offered a job at Macy’s, designing for their young men’s private label, American Rag shortly after. After five years of working for Macy’s Men’s INC design team, I left to launch my own t-shirt brand called Premium NYC. 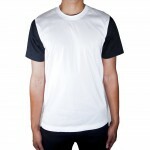 We use non-traditional fabrics of the highest quality on the traditional t-shirt block. We launched with seven styles for Spring/Summer 2013 as a test. I am also working on my namesake menswear collection, launching for Fall 2014. Looks from Premium NYC. Images courtesy of Kenneth Ning. I feel the transition was smooth because the University equipped me with the skills I needed to go straight into the workforce and hit the ground running. Everything from organizing timelines to drawing flats by hand (and on the computer), carried over seamlessly from student life into working in a corporate design environment. Keep working hard on what you believe in no matter which road you take. Regardless, the end results will be satisfying. Freedom in design. Freedom in time management. Freedom to make decisions that will affect no one else but you. I am a very active person and running through the streets of NYC is very inspiring to me in both my work and personal life. I am also very passionate about the martial art of Muay Thai. It keeps me disciplined, and is very humbling to see people from all walks of life come together with no egos when we are training. I’ve met the most amazing people who have influenced me in some of my most important life decisions.